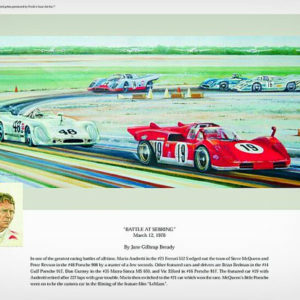 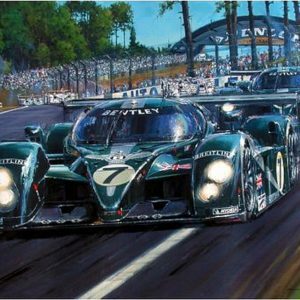 This fine, very rare print was originally an unsigned edition, commissioned as part of the Autosport Moment of the Year series. 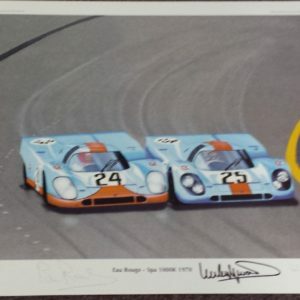 A small number of Artist Proofs have been signed by six drivers, three from Jaguar and three from Porsche. 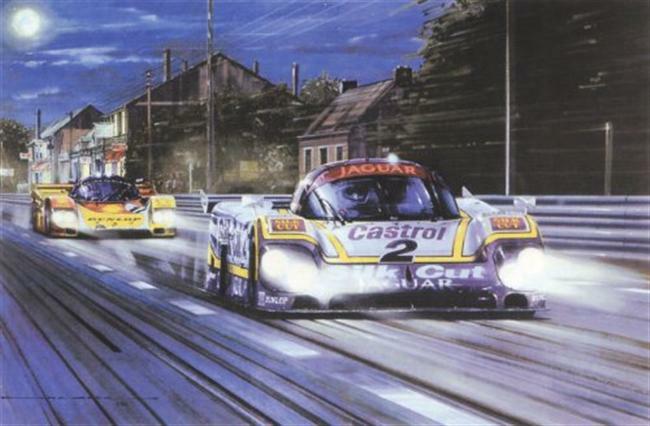 The three from Jaguar are Jan Lammers, Andy Wallace, and Johnny Dumfries. 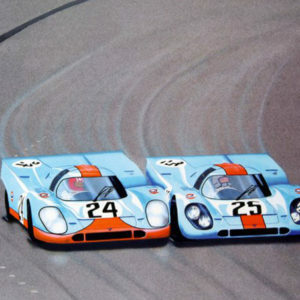 The three Porsche drivers are Derek Bell, Klaus Ludwig, and Hans Stuck. 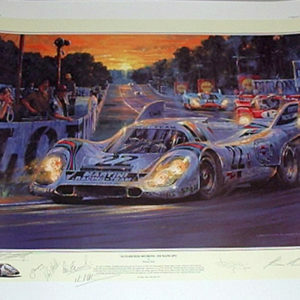 Also includes the signatures of legendary Porsche drivers Jochen Mass and Hurley Haywood! 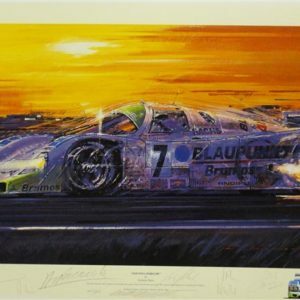 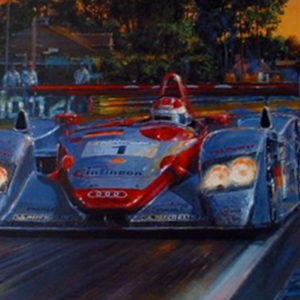 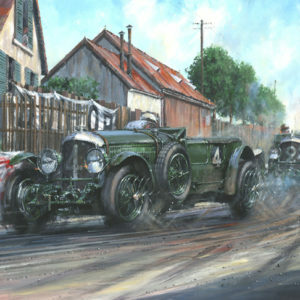 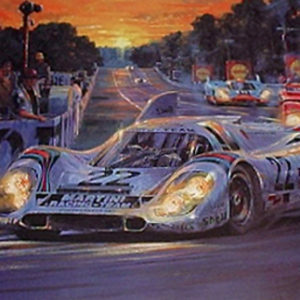 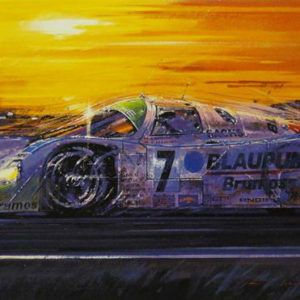 Le Mans 1988 a truly stunning print and a show stopper, 8 signatures total! 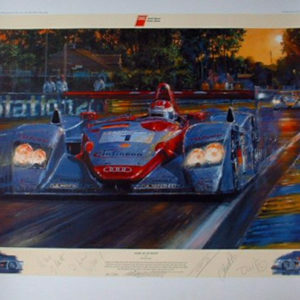 Try to find this somewhere else with these signatures!